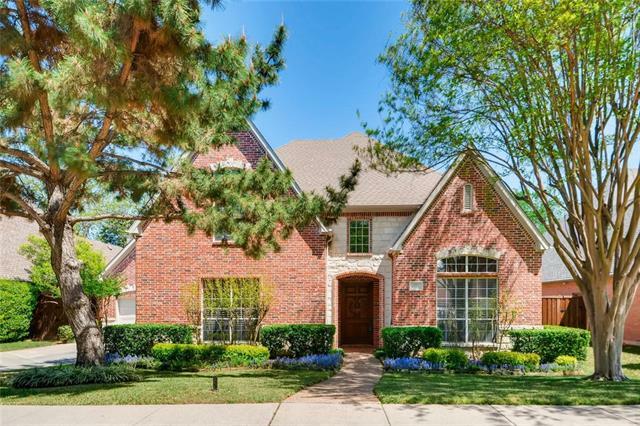 All Old Coppell Estates homes currently listed for sale in Coppell as of 04/20/2019 are shown below. You can change the search criteria at any time by pressing the 'Change Search' button below. "Elegant custom home in Old Coppell Estates! A great home to live, work and play in. The kitchen has recently replaced appliances: Kitchen-Aid 5 burner gas range, double ovens, microwave, & dishwasher - Opens to the family room. Kitchen boasts a writing desk built-in, walk-in pantry & butlers pantry to the formal dining room. Downstairs study has built-in bookcases. Private study nook upstairs with built in with cabinets. Backing up to a creek creates a quiet outdoor living area complete with "